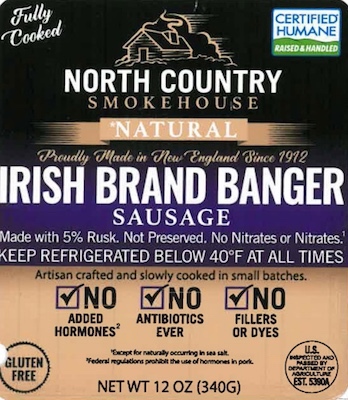 US/Washington: North Country Smokehouse, a Claremont, New Hampshire establishment, recalls 9,000 pounds of North Country Smokehouse Natural Irish branded Banger Sausage products due to undeclared Gluten (Wheat), a known allergen, source of dietary intolerance and possible trigger of Anaphylaxis, a serious and potential fatal situation, requiring immediate medical intervention. 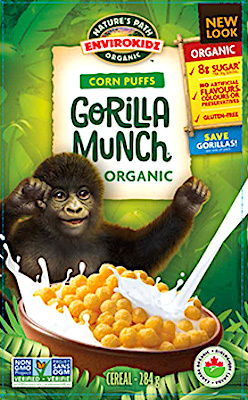 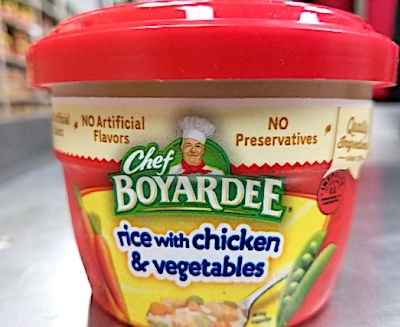 US/Washington: Conagra Brands, Inc., a Milton, Pennsylvania establishment, recalls an estimated 2,871 pounds of Chef Boyardee branded Rice with Chicken & Vegetable Meal products due to suspected mislabeling and consequential undeclared Milk and Wheat, both known allergens, sources of dietary intolerance and possible triggers of Anaphylaxis, a serious and potential fatal situation, requiring immediate medical intervention. 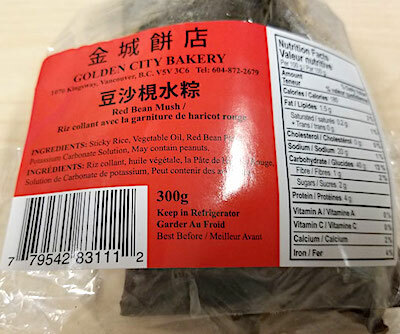 US/Washington: Taylor Farms TX, Inc., a Dallas, Texas establishment, recalls an estimated 2,100 pounds of Chile Relleno branded Chicken products due to suspected mislabeling and consequential undeclared Wheat, a known allergen, source of dietary intolerance and possible trigger of Anaphylaxis, a serious and potential fatal situation, requiring immediate medical intervention. 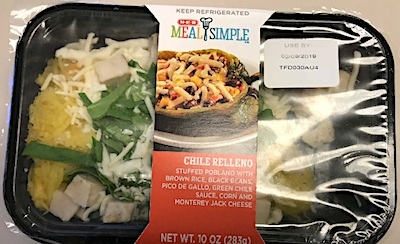 The United States Department of Agriculture (“USDA”) reports the following ready-to-eat “HEB Roasted Spaghetti Squash with Alfredo & Chicken” products were incorrectly labeled as “Chile Relleno” and were produced on various dates from January 25, 2019 through January 30, 2019. 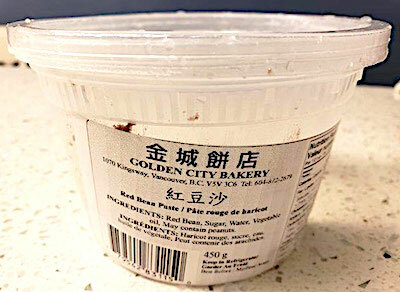 Canada/Ottawa: Golden City Bakery, a Vancouver, British Columbia establishment, recalls certain batch/lots of Golden City Bakery branded Red Bean Mush products due to undeclared Wheat, a known allergen, source of dietary intolerance and possible trigger of Anaphylaxis, a serious and potential fatal situation, requiring immediate medical intervention. 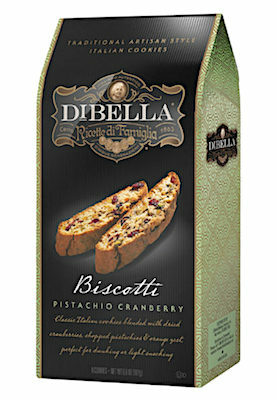 Canada/Ottawa: TJX Canada, a Mississauga, Ontario establishment, recalls certain batch/lots of Dibella brand Pistachio Cranberry Biscotti due to undeclared Wheat, a known allergen, source of dietary intolerance and possible trigger of Anaphylaxis, a serious and potential fatal situation, requiring immediate medical intervention.